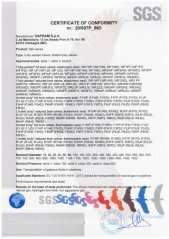 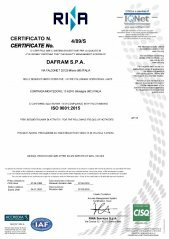 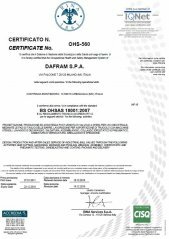 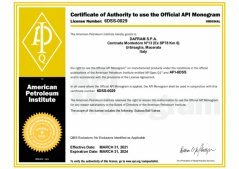 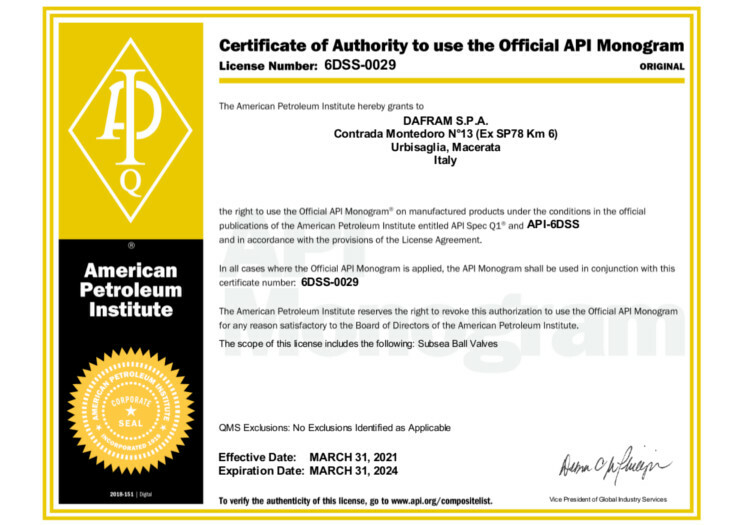 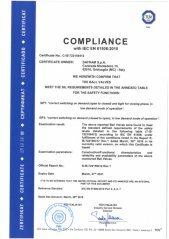 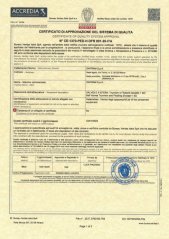 Since 1988 DAFRAM's Quality Management System has been certified as compliant to ISO 9001 requirement by accredited body RINA Services S.p.A. and it has been maintaind up to today. 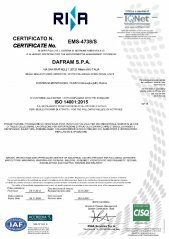 Quality Management System has been extended and improved by obtaining specific product certifications also to follow new technical and market needs. 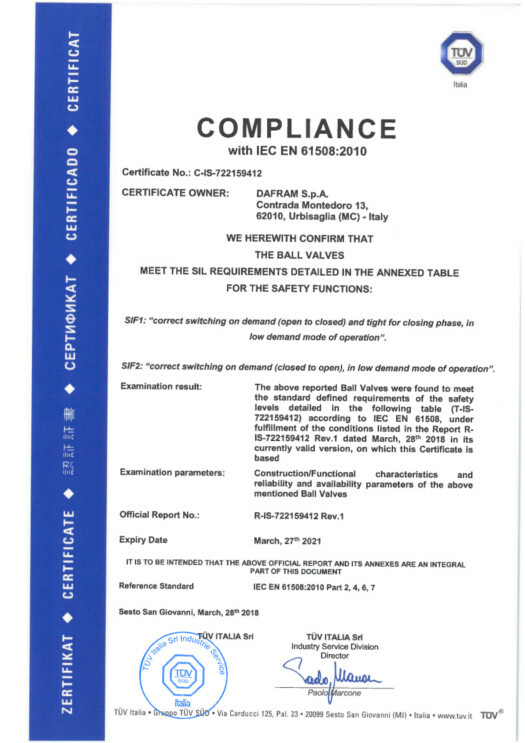 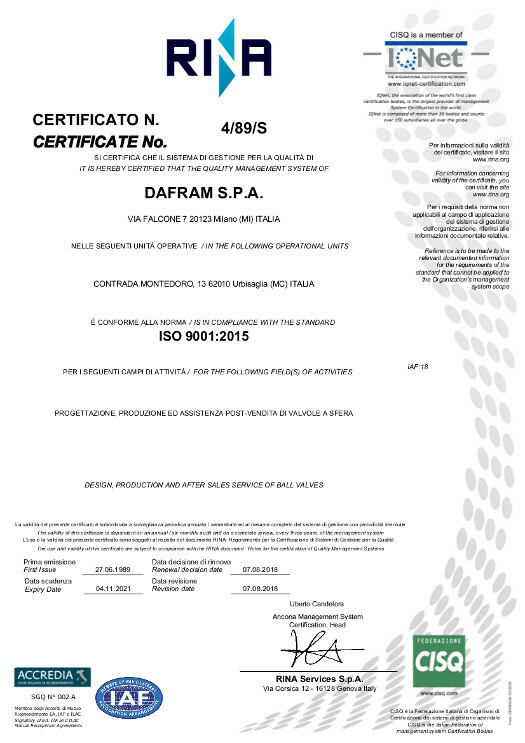 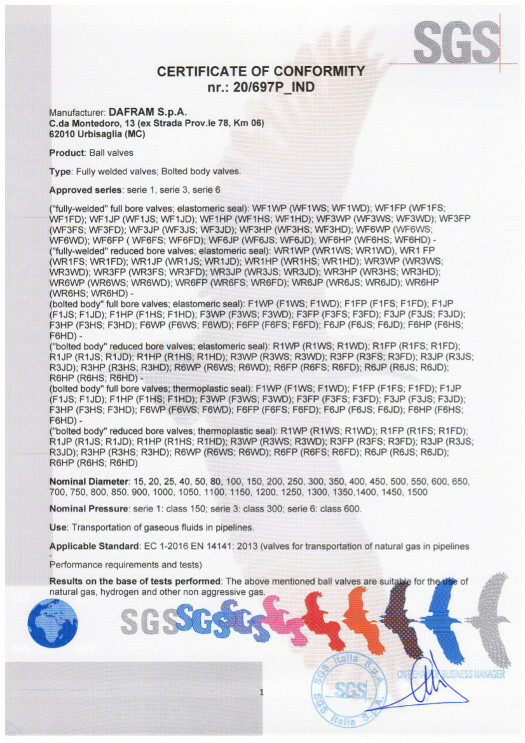 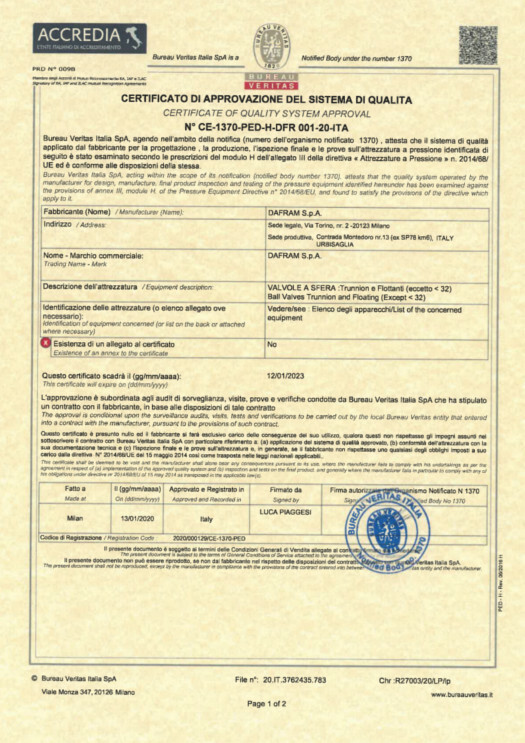 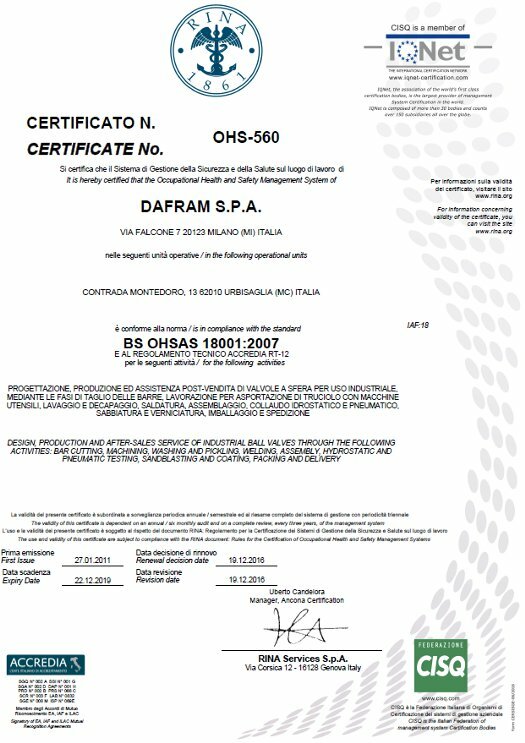 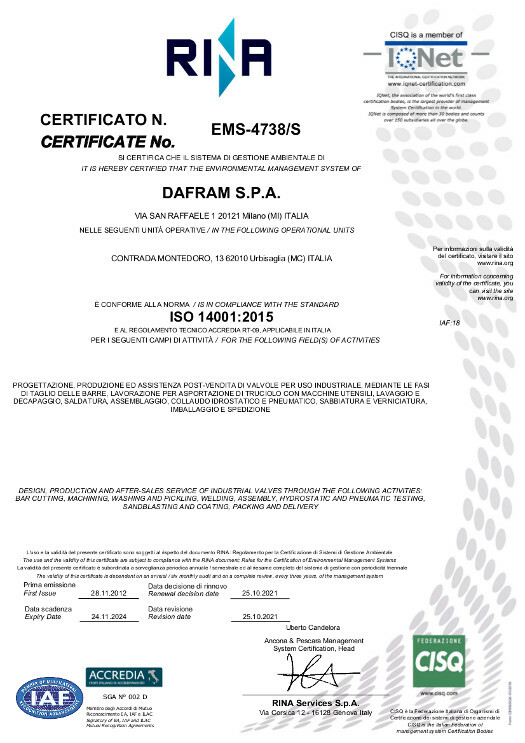 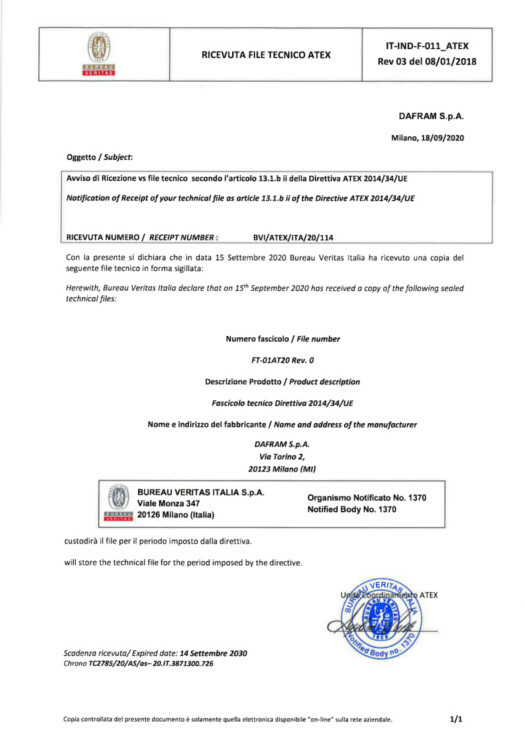 In 2006 DAFRAM improved its Management System by including also environmental aspects on it and obtaining the ISO 14001 certification by accredited body RINA Services S.p.A..
At last in 2011 Company implemented a Health and Safety Management System certified as compliant to OHSAS 18001 requirements by accredited body RINA Services S.p.A..